Congratulations to Sydney author Susanne Gervay OAM who has been awarded a Medal in the General Division of this year's Queen's Birthday Honours. Super Jack; Jack Forever; Butterflies; The Cave. 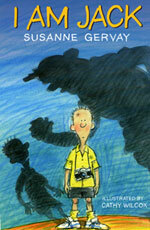 Susanne is the only children's/young adult author in this years awards. then you must. 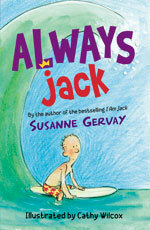 Her latest is 'Always Jack' and its focus is breast cancer . This is the review I wrote last year:"
to emerge stronger than ever. that has risen behind him and is about to come crashing down. not just a mum problem. can clearly see mum is not all right so feel she is lying to them. big that even the wedding is postponed. treatment so that it becomes almost a positive in their lives. know what they are thinking." a positive, uplifting tale that leaves a real impact on the reader. Council and the NBOCC so your purchase will touch so many lives. the National Screening program for details of the program.